“Let us not seek to satisfy our thirst for freedom by drinking from the cup of bitterness and hatred.” - Martin Luther King, Jr.
More than a half century ago, Martin Luther King, Jr. delivered his epic speech at the Lincoln Memorial to over a hundred thousand civil rights activists who marched on Washington. As we commemorate this social visionary who gave his life to a cause, it’s time to reflect anew on how Martin Luther King’s timeless wisdom still speaks to a nation still struggling with its own soul. King’s immediate message called for the end of segregation and the integration of blacks into American society. But his larger vision extended to a future when the U.S. populace would conduct its legislative, social and moral affairs without prejudice of any kind. When King delivered his seminal speech in 1963, a century had passed since America’s Emancipation Proclamation. Despite a national edict legislating their inclusion into the citizenry, life for most black Americans in the early 1960’s remained largely unchanged. The soul of America, exercising segregation with an often exclusionary spirit, lagged way behind the ideal. 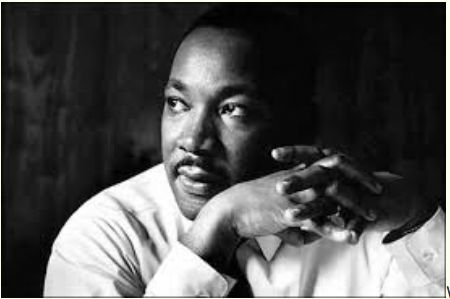 MLK’s oratory a half century ago was strong, stirring and high-minded. With compelling public words, he cut to the conscience of certain white Americans who remained steeped in fear, prejudice and entitlement. Surprisingly, King’s admonitions to his own people cut an equal, if not different, challenge. He urged black brethren to move forward through peaceful non-aggression, compelling fellow marchers to refuse to answer violence and injustice with more of the same. Few will deny that MLK’s spirit lives on in legendary fashion. Walking the talk, he led the civil rights movement through peaceful means, ultimately paying for the cause with his life. Today, he stands among figures in U.S. history who have helped define and advance the ideals of a nation alternately referred to as The New World, The Melting Pot and The Land of Opportunity. Clothed in dark complexion, Dr. King emerged during a climactic time in American history. Yet my view and estimation of the man eclipses any notions of color. MLK engenders a vision and spirit that melds into mine, calling us all to a higher standard of character and a better form of life. As we all pause to reflect on this holiday and the I Have a Dream speech, I offer my video from a visit to Martin Luther King’s childhood home. I also republish, in no particular order, the lesser-quoted but equally compelling quotes from MLK’s historic speech. “Continue to work with the faith that unearned suffering is redemptive”. My hope is that readers of every age, race, culture and creed consider these ideals espoused by MartinLuther King. As a nation, we’ve made progress toward blurring the color barriers of 1963. But let’s heed his larger message. Let us continue to advance as a people, equalizing our collective citizenship while aspiring toward the finer character in all of us. Then, just maybe, we’ll all be free at last.